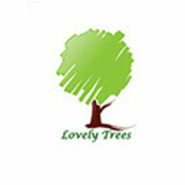 Welcome to Lovely Trees. We are a team of professional gardeners and landscapers. We offer a full range of gardening services. Our workshops can also build wonderful outdoor features such as fencing, sheds, turf roof shelters, and playground equipment. We supply to schools, community groups, businesses and hopefully to you too! Whatever help you need please get in touch via email or phone and we can arrange a suitable time and day to meet and discuss your needs. We have hundreds of satisfied customers and can supply references. We work to high standards and hold formal qualifications in horticulture.